Climate experts agree that global warming is real and is caused by humans. Yet in 2011 in the House of Representatives an amendment to a bill that would deny the EPA the authority to regulate greenhouse gases which stated: “Congress accepts the scientific findings of the Environmental Protection Agency that climate changes is occurring, is caused largely by human activities, and poses significant risks for public health and welfare” was defeated 184-240. This outcome indicates that a majority of one chamber of Congress does not agree with the consensus among climate scientists that global warming is real and a serious threat to the planet. Despite thousands of studies to the contrary, it seems that with every snowstorm scientists have to answer ill-informed claims that global warming is a hoax. So how does a non-scientist citizen make an informed decision? Fortunately, scientists use a process called “peer-review” to maintain standards in their published research. Peer-review, which can take months to years, requires that research papers submitted for publication are reviewed by anonymous qualified experts to ensure the research is sound and the conclusions are justified by the data. Over the last 300 years peer-review of research in biology, chemistry and physics has led to technological advances in medicine, communications, space travel, etc. that have immensely improved our everyday lives. Analysis of thousands of peer-reviewed papers on global climate change have shown that well over 95% of climate experts agree that global warming is real and caused by humans burning fossil fuels and forests. Moreover, the Academies of Science from 19 different countries, which include the world’s most distinguished scientists, have endorsed this consensus, as have dozens of scientific organizations in the US, including the American Association for the Advancement of Science. Thus, despite claims to the contrary, there is a genuine consensus on global warming supported by the world scientific community. As a result of this campaign of misinformation, some of the general public is at odds with the scientific consensus. A review of articles on global warming in four major newspapers showed that only 35% of the news articles reflected the scientific consensus on global warming. Some misinformation in the media results from the journalistic ethic of “balanced” reporting which strives to present both sides of every story. However, since skeptics demand equal time, they receive a disproportionate share of attention which perpetuates uncertainly about global warming. Of course, there is active debate among climate scientists on many of the details regarding global warming, including where and how fast climate will change and the specific effects on our planet. But debate is a legitimate part of the scientific process and ultimately improves our understanding of the natural world. However, healthy debate among climate scientists should not be taken as a lack of consensus on the existence and cause of global warming. Thus, “skeptics” advance a political debate disguised as a scientific debate with the goal of stalling the issue on the science rather than focusing on policy options to address the problem. As a policy issue there may be many reasons why the EPA might not be the best choice to regulate climate change, reasons that have nothing to do with the climate science. 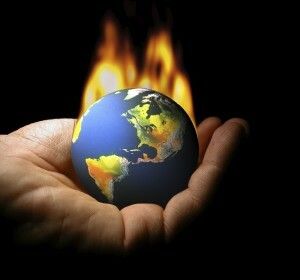 However, there is a tremendous amount of scientific information indicating that the effects of global warming on our planet are dire. You don’t have to look far to see the effects of global warming on rising sea levels, retreating glaciers, declining arctic sea ice and disappearing species. These changes have the potential to impact ecological processes so fundamental to our ecosystems that they could have far-reaching consequences for our planet now and in the future. As Rep. DeGette succinctly stated during debate on the 2011 amendment “We in Congress can certainly change the laws of this country, but last I heard we cannot change the laws of nature.” Overreaction to the consequences of global warming and action on reducing carbon dioxide emissions are trivial compared to the consequences of inaction. So let’s move past the science and focus on policy options to address the problem and take action.